A portion of the Hatter Network Editorial Board at the Network Cafe, November 2018. 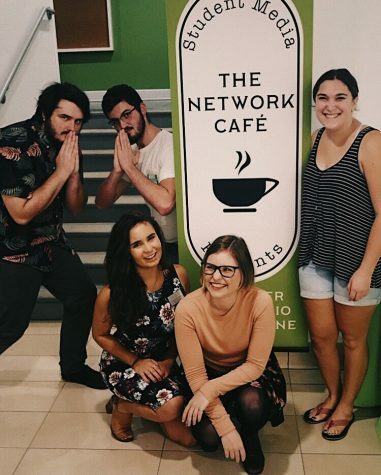 Hatter Network is the umbrella term for Stetson University’s stdent media collective. Under this umbrella sits Touchstone, our literary arts journal, WHAT Radio, our radio station, and The Reporter, the oldest collegiate newspaper-turned-magazine in Florida, established in 1887. Here, you can read the latest news, check out artist features, listen to live streams of our radio shows, and more. We are so excited to welcome you to our website, and we hope you enjoy your stay.